Introducing your new best friend in book discovering technology! 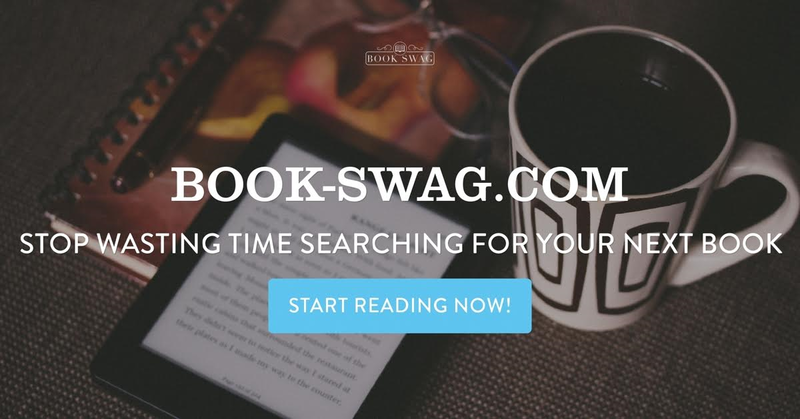 Book-Swag is an email subscription service that sends you a weekly email that complies a list of eBook recommendations that are hand-picked by a team for you to enjoy. I particularly enjoy that part about having the books being chosen to be featured, rather than being systematically selected. This way, I can trust that I am getting real recommendations from readers themselves. When I was contacted by this company to help promote this new service, I was so excited. Being someone who is always on the the hunt for great new reads, this service will definitely be of use for me. The concept is simple, and will be familiar if you have ever used a service like BookBub (which I'm also a big fan of). Why are you launching the site? I'm launching the site as a bit of a test to see if there's a way for writers to promote their books without having to pay out some big fee. Most writers don't have the money to simply try out different forms of book promotion and more often than not they don't have the time to do the vast amount of free promotional stuff like social media, guest posting etc. Also, a lot of promotional sites require you to discount your book, but as the people working on Book-Swag are writers ourselves, we feel that in a way this is disrespectful to the authors. They've spent all this time writing, rewriting, editing, getting the book formatted, a cover designed. Why should they discount their book to ninety-nine cents? You wouldn't ask that in other professions, so why do we ask that of authors? As the site is free for readers to signup and receive information on book recommendations and deals, and it's free for the author to promote their books - http://www.book-swag.com/submit-your-book/ - the site will make it's money through affiliate links with Amazon. For every book sold, as an affiliate, the site gets a percentage of Amazon's commission. This way we can help authors without having to charge them a fee and they don't lose any money on the sales because it comes from Amazon's commission. At the moment we're a small team of friends all working for free, we're doing this out of our own time. We launch on the 1st July but all money we make will be pumped back into the site - hosting, email accounts, paying for coding, advertising etc. We're giving it six months to see if the website can become something that is self-funding while providing great results for the authors featured. After that, if the site is paying for itself, we will review everything. If it's making money ninety percent of that will go back into the site and ten percent will be split across the team members to help compensate them for their time. How will you control the quality of the books which you promote - often sites have minimum requirements e.g. number of on-line reviews or star rating? We start with the submission page - http://www.book-swag.com/submit-your-book/ - and from the information the author has submitted we try to get a sense for the author (do they have a decent website, social media presence etc). I and the other people who work on the site will look at reviews and comments on Amazon to get a sense of what the current readers think of the book, we also do a search for other online reviews and comments on Goodreads. After the initial submission, we reach out to the authors to get a sample chapter and check the quality of the writing, and if it's something we like. It goes a little on gut feel too, if we feel the author isn't suited then it will simply be a 'No thanks'. How do you plan to promote the new site? At the moment, we're doing a pretty heavy outreach campaign within the writing, reading and publishing community. Asking them to get the word out any way they can, guest posts, backlinks, social media shoutouts, hitting up their email lists. We're trying to get on sites like Buzzfeed - https://www.buzzfeed.com/scottthewriter/27-websites-to-help-you-find-your-next-great-read-2e1d8- and anywhere else we can. We're doing a bit of social media marketing, but as we're a small team we're finding this quite time-consuming. A few weeks out from the launch we'll be looking into spending about $1000 in advertising - Google AdWords, Big Writing Sites etc. After that, we'll be asking each author who is featured on the site to put a backlink on their site to ours and promote it to their audience. This way it's a bit of a promotional ecosystem, we help them get their book to readers and they also help potential readers find our site. And when I get the time I'll be doing some outreach through press releases to news websites and writing magazines. What's your background? Is this your first foray into online promotion? Whether you are a reader or an author, this email subscription service benefits all! Be sure to check it out at http://www.book-swag.com.